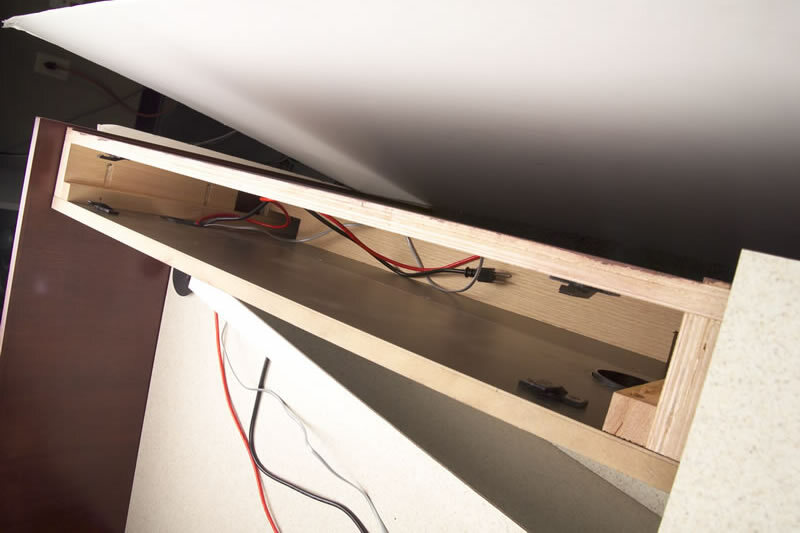 Are you tired of the endless mess of wires under your circulation desk? 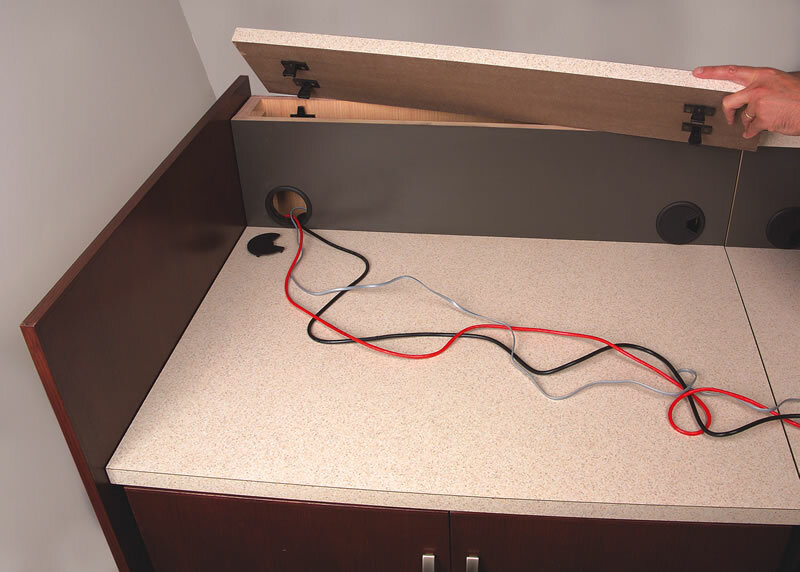 What about a new circulation desk built with a wire management system that is easy for you to access through the top of your work surface in any section of your circulation desk? 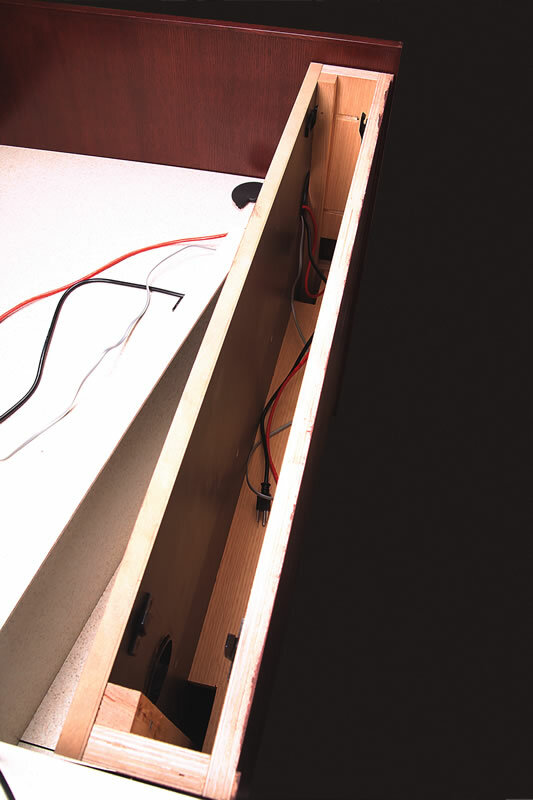 Wire management that is fully concealed in a 4" wide raceway with portals from one section to the other. 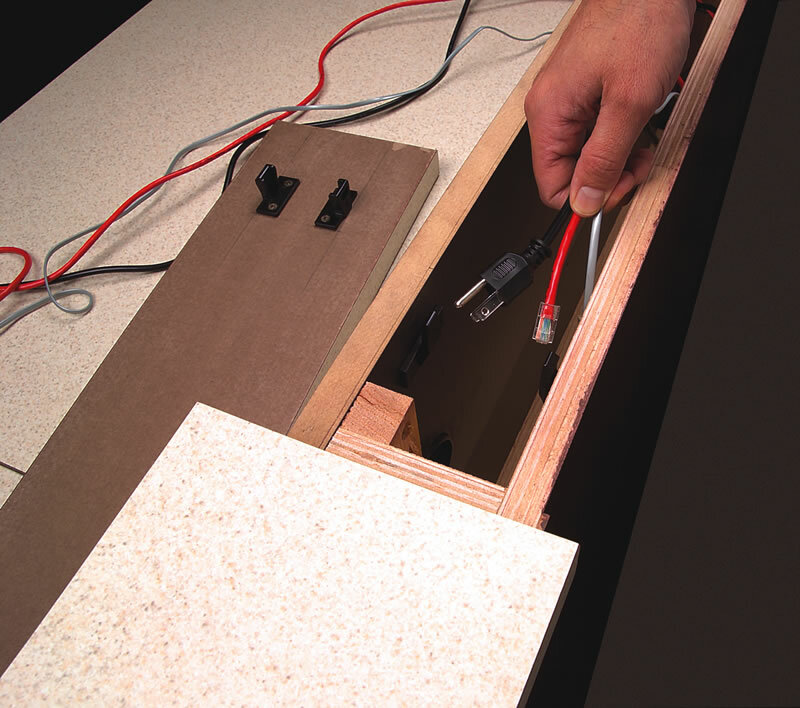 Patron ledges and work surface sections that pop off without the use of any tools so you can change out or add to you communication system easily. 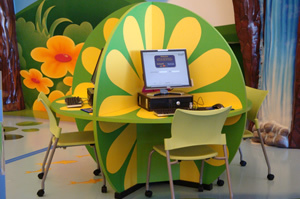 The new Arcadia Circulation desk offers all of this and much more. 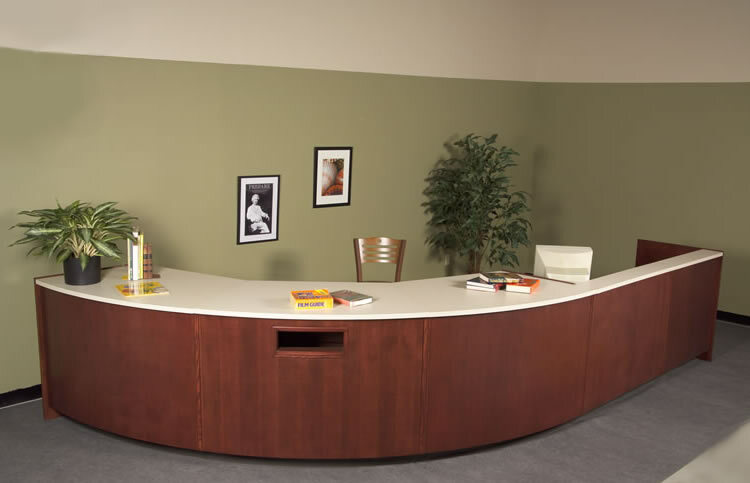 For the first time you can purchase a modular circulation desk that offers a designer's circular or semi-circular floor plan without the designer and contractor price tag. The Arcadia shells are 45 and 30-degree sections joined together to create a perfect circle. Have you already out grown your current storage capacity? Or is the configuration just not working any longer. 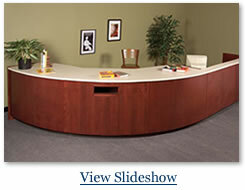 With the new Arcadia Circulation desk shell and insert configuration these growth problems are easily handled. 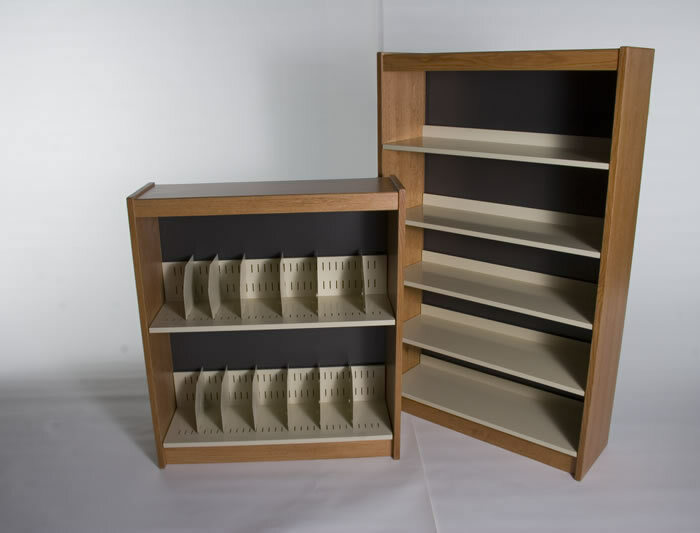 With the shell and insert configurations, insert sections can be switched around from shell to shell or even be replaced with new inserts as your storage needs and personnel change from year to year. 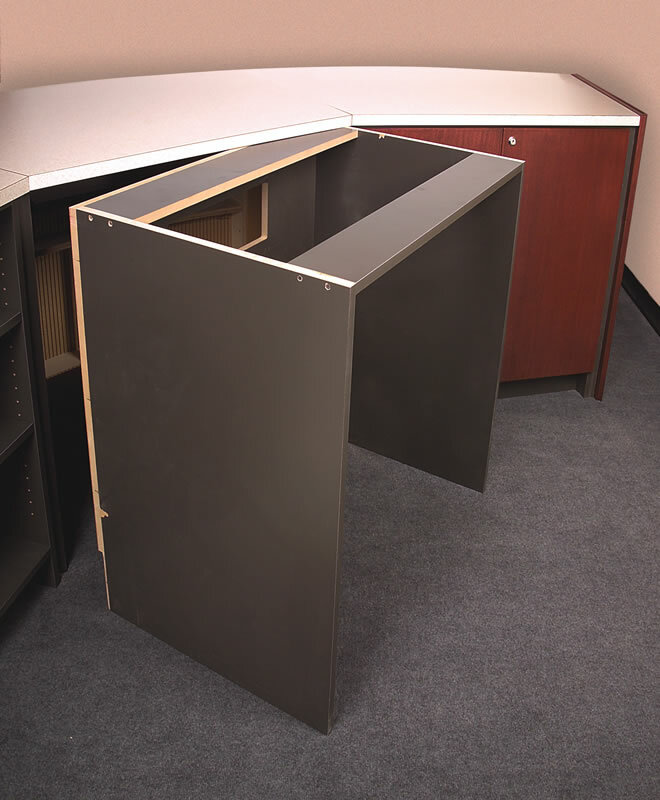 Let us see what solutions Paladin Caseworks has for your furniture needs. 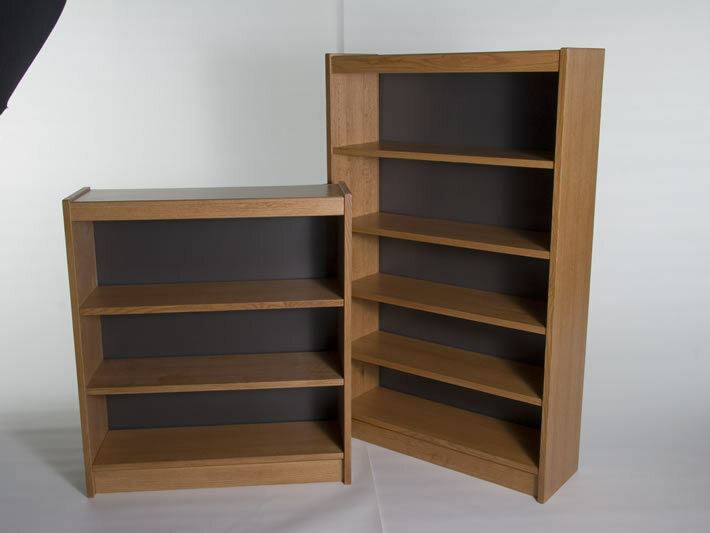 Front Panels feature rift cut red oak veneer for a more consistent finish and uniform appearance. 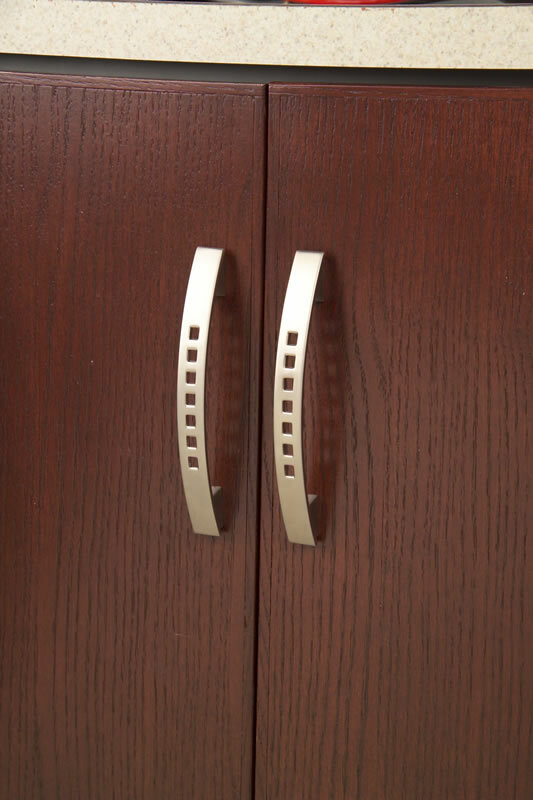 Species of wood veneers available as standard include Oak and Maple. Other species are available upon request. 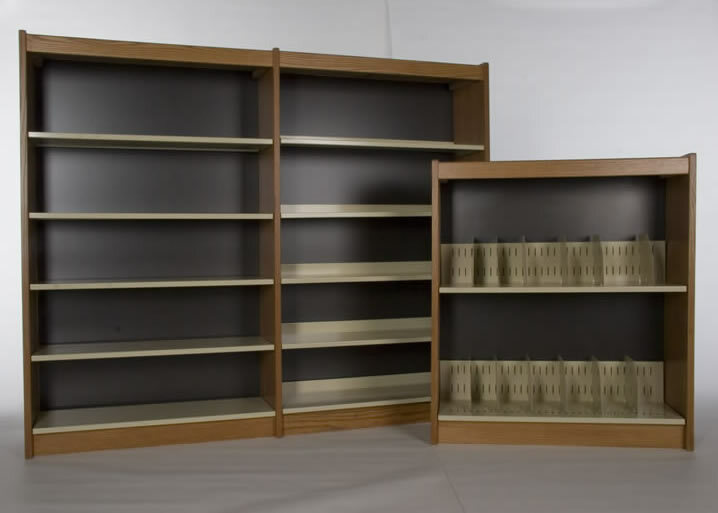 Top Fillers for shelving units 42", 48" and 60" h utilize durable high pressure laminate surfaces. 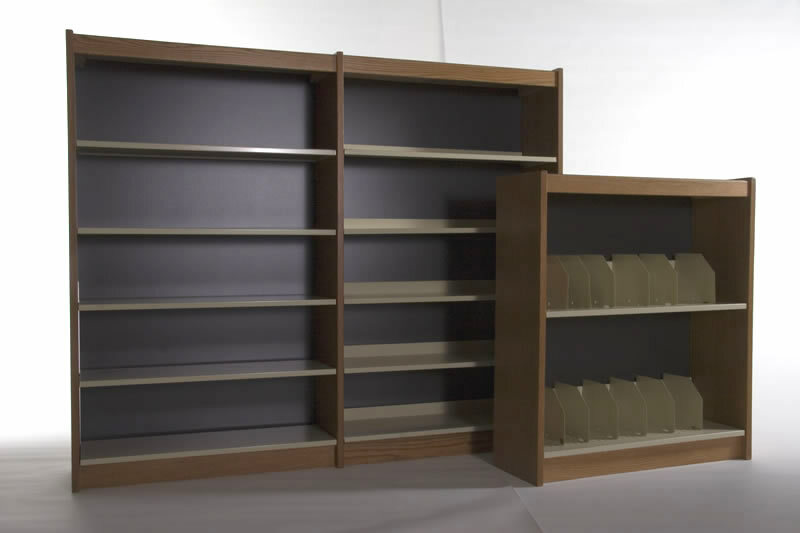 Shelving units that are 72" and 82" h require top fillers that are inverted so the wood veneers are visible inside the shelving unit.